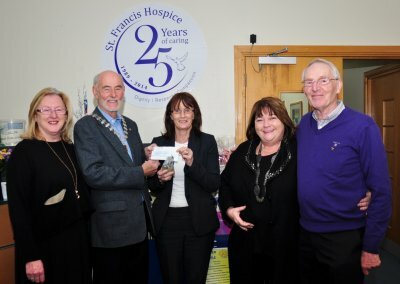 Every Year Malahide Lions Club receive many requests for assistance from worthy causes and varying charities. In so far as our resources allow, we will always try to support these organisations. Some are national, but most are locally based and serve the people of Malahide and district. Below, is a list of some charities that we have helped over recent years. We are always very conscious of the fact that we would be unable to offer help to so many without the generosity of our many supporters. We hope that these people will share in our pride and joy. Click on the button if you would like to donate to Malahide Lions Club.